When Bradley Pinion signed a free-agent contract with the Tampa Bay Bucs last week, the 49ers suddenly were without a punter. 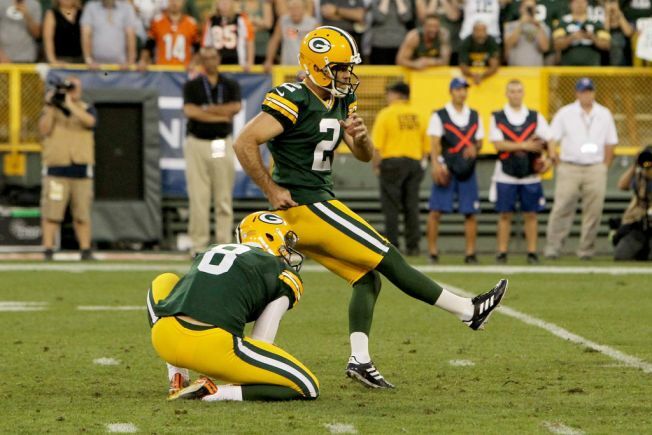 They fixed that this week with the addition of former Green Bay Packers punter Justin Vogel. It remains to be seen, however, if Vogel will be the team’s punter in Week 1 of the 2019 season. The former University of Miami standout has had an up-and-down experience in the NFL and likely will be challenged by another veteran or rookie picked up in the draft or from among undrafted free agents this spring. Pinion, who was a fifth-round pick of the 49ers in 2015, ranked 29th in the NFL in 2018 with a 43.7-yard average and was 24th in net average, at 39.1 yards. Pinion replaced Andy Lee, who was with the 49ers for 11 seasons – including two All-Pro years. The Pinion-for-Lee swap never quite panned out. Though Pinion showed improvement during his time with the 49ers, Lee – who went on to Cleveland, Carolina and Arizona – has continued to excel. Lee, 36, led the NFL in 2018 with a 48.6-yard average and was fifth in net average at 42.6. After playing all 16 games with the Packers in 2017, Vogel was waived by Green Bay last May, signed by the Cleveland Browns and then released just before the regular-season opener. His rookie season with Green Bay showed promise, however. He had a 44.4-yard average and a net average of 41.6 and was selected as an alternate to the Pro Bowl. He punted 71 times that season and had just two touchbacks. Vogel, who also served as the holder for extra points and field goals in Green Bay, would also replace Pinion in that role with the 49ers for kicker Robbie Gould.